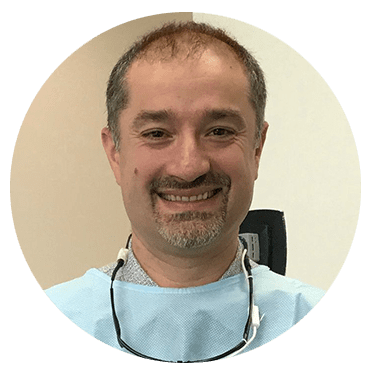 Pirouz Shahbazian, DDS, is a natural when it comes to cosmetic dentistry and patient relations. At A Plus Cosmetic Dentistry in Brentwood of Los Angeles, California, patients praise him for his professionalism and expertise. Dr. Shahbazian describes complex dental topics in digestible terms so his patients can understand what various treatments entail and which solutions would be best for them. Growing up in Iran, his extensive education began at Isfahan University in Isfahan, Iran. He graduated with a dental degree in 1993. Then, in 2005, he moved to the United States to attend Loma Linda University, where he graduated with his doctor of dental surgery degree in 2012. Esteemed among his colleagues, Dr. Shahbazian is a member of multiple professional associations, including the American Dental Association, the California Dental Association, and the American Academy of Cosmetic Dentistry. His extensive dental education includes training in orthodontics, periodontics, and endodontics. Dr. Shahbazian and his wife, Sara, have a daughter, Raha, and they reside in Los Angeles. "I came in to A Plus Cosmetic Dentistry for my 6 month check up and cleaning. Dr. Pirouz is one of the best doctor's you could ever ask for." "Dr .Pirouz presented to me all my treatment options. I was amazed at his decency in presenting the treatment plans compared to other consultations that I went to." "I've been on the hunt for a good and honest dentist for many years and have finally found that in Dr. Pirouz." "Dr. Shahbazian is amazing! I was so afraid to get my painful wisdom teeth out, but he and his staff took such great care of me and made me feel safe and in good hands." "Dr. Pirouz is very efficient and fast at what he does. Not to mention his entire staff is very smart and friendly." "Dr. Pirouz Shahbazian is a true miracle worker. [...] I highly reccommend him to those looking for a dentist that is thoughtful, thorough and effective in his work."